Vichy advises to use this product once a day (morning or evening) for 10 consecutive days, avoiding eye and lip area. As Vitamin C tends to make your skin even more sensitive to the sun, make sure that when used in the mornings, you follow your skincare routine with a good SPF! I use this booster it in the morning as my foundation has an SPF 25 so I’ve got that covered! 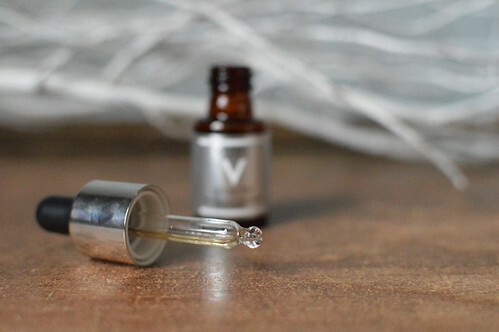 First I thoroughly cleanse my skin, then I squeeze about 5 drops in the palm of my hand and apply it on my skin. I let it dry for just a couple of seconds before continuing my skincare/make-up routine. Vichy warned that when using this product, you might get a slight tingling sensation, but I don’t notice this feeling. After using the product, my skin feels smooth and firm. My skin looks plumper so the visibility of lines has diminished (or so I’d like to think…). The product is absorbed quickly by my skin. Easy to use and hygienic because of the dropper. Feels comfortable on my skin. Now this is a big con: once opened, the product must be used within a month. 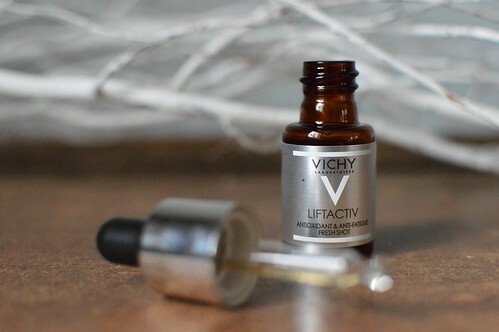 This is a pity as Vichy advises to use this product as a 10-day cure and repeat the cure whenever your skin needs a refreshment (so I guess every couple of months or so). But after 10 days you’re not even halfway the bottle so that would mean that you would have to throw it away as you can’t keep it until your next 10-day cure! They should make 5 ml bottles in my opinion to avoid this… Anyway, I have used the product for 14 days in a row now, I will stop for about a week and then I will use the rest of it just before the festive period starts. I won’t spoil a drop!! Expensive (27,95 EUR for a 10 ml bottle). The cons definitely weigh a lot… but I must say that I can recommend this product as after 5 days I already saw a remarkable difference! I might buy it again (or something similar). Have you already used this product? What are your thoughts about it? Let me know! 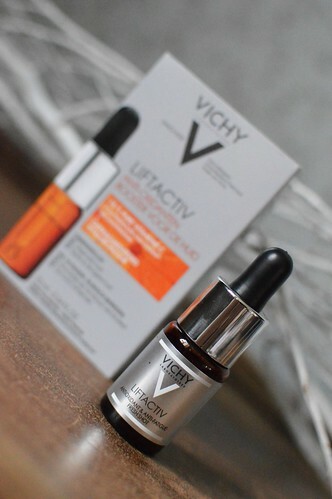 This entry was posted in Beauty, Skincare and tagged booster, liftactiv, serum, vichy, vitamin c.
So true! Do you know any other similar products? ?